Brett Eldredge and Jon Pardi's Australian Show's Announced! 2019 is already shaping up to be a ripper year in country music with some of the best concerts, festivals having already been announced. 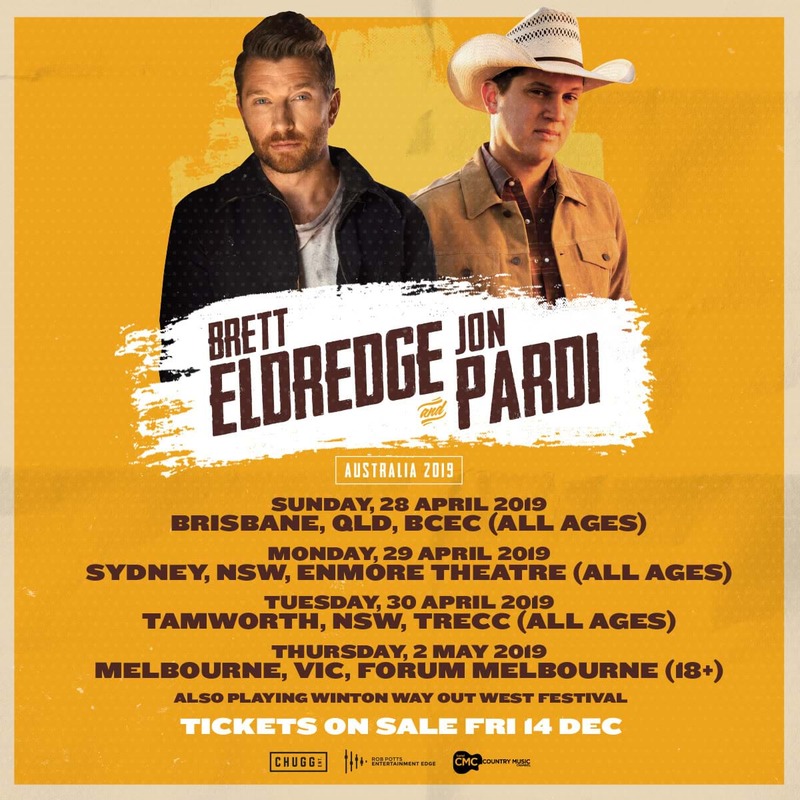 Country fans you can now add this one to your ever growing list of MUST DO's on the country music scene - Brett Eldredge and Jon Pardi have announced Australian tour dates.